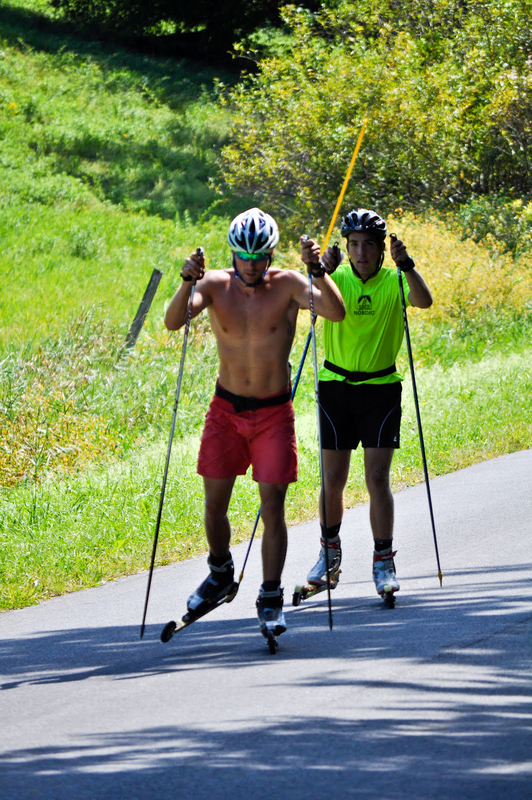 On September 2nd we held our first annual Ski-A-Thon fundraiser for the SMST2 team. The goal for the day was to ski 100 km and raise money to help pay for travel and racing expenses this upcoming season. We started the ski about an hour east of Stratton, near Andy Newell’s house in upstate New York. Coach Gus laying out the route at the start of the ski. 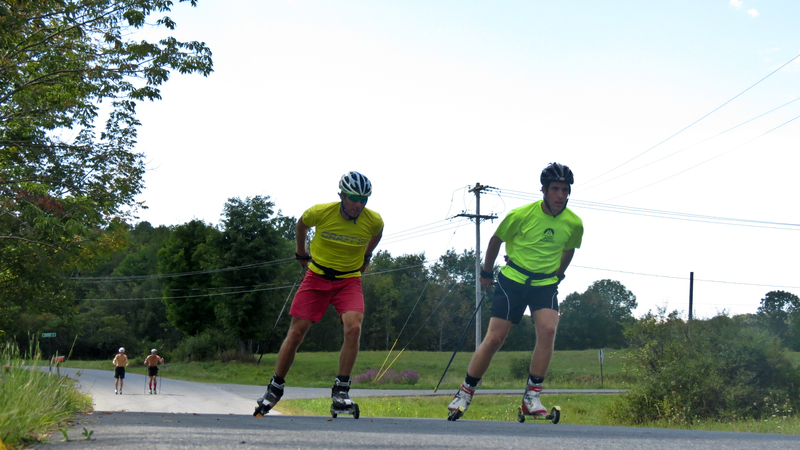 The roads in New York are incredible for rollerskiing with smooth pavement, light traffic, and awesome views. We definitely did not pick a bad day to spend outside. The girls taking a quick stop to refill water. Gus supported our ski and carried our extra water and food in the van. Everyone started out on classic skis in the morning. At the halfway point (50k), part of the group switched to skating. Skyler and I opted to classic ski the entire route. Andy and Paddy after the technique switch. Andy and Paddy 65k into the ski – cruising. Skyler, Eric, and Sverre, 85k into the ski. Coach Sverre biked along for the entire 100k. The girls crushed the ski and finished in style! From left to right: Sophie, Annie, Jessie, and Erika. 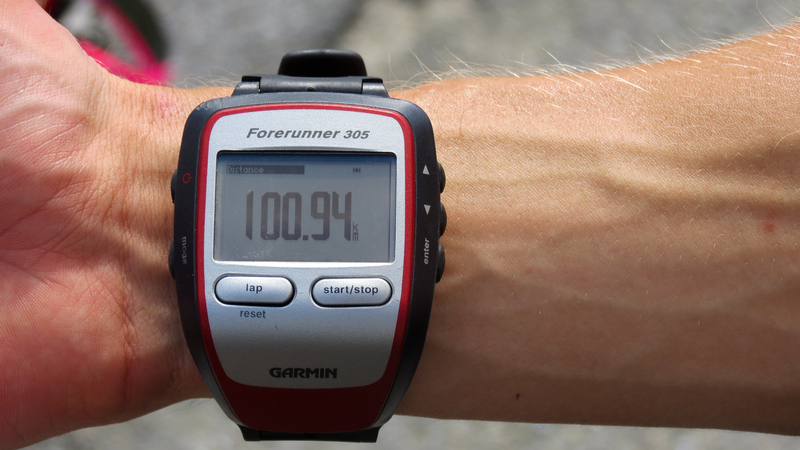 The finish – just over 100k. The Ski-A-Thon was a big success. Thank you to all the individuals and families who contributed to help make the dream a reality!